Added a trimmer extend option to extend trimmers up to bottom of header when a built-up header is used that has a bottom plate. How difficult would it be to have door and window framing automatically generate based on 3D Warehouse doors and windows? Of course only necessary if the desired look cannot be achieved within the Wall plugin. It would be nice to assign Medeek attribute data to custom openings. If openings are automatically at same level within outliner (based on a few videos linked in previous post) should make it easier to create door & window schedules in LayOut. Added logic to the final assembly routine to allow for electrical components (Medeek Electrical) to be retained within wall panels. Try using the Wall plugin with the new Electrical plugin and then re-build one of your walls, you will see what I mean. When you rebuild all of the electrical components you’ve added will be erased. However, with version 1.0.4 they will be properly retained. Any recommended best practices for connecting wall assemblies and truss (subfloor) assembly for second story open-to-below (first story living room open-to-above)? Also, has window “stacking” been resolved/enabled? I’ve been investigating the window stacking issues further with a contractor out of Alberta in the last couple of weeks. The roadblock on this one has always been how to handle stacked windows that are offset rather than lined up. I think I’ve finally devised an algorithm that will work but since the permutations on this one can be so exhausting it may not cover every possibility. I will commit my algorithm to code and then give it some further testing. 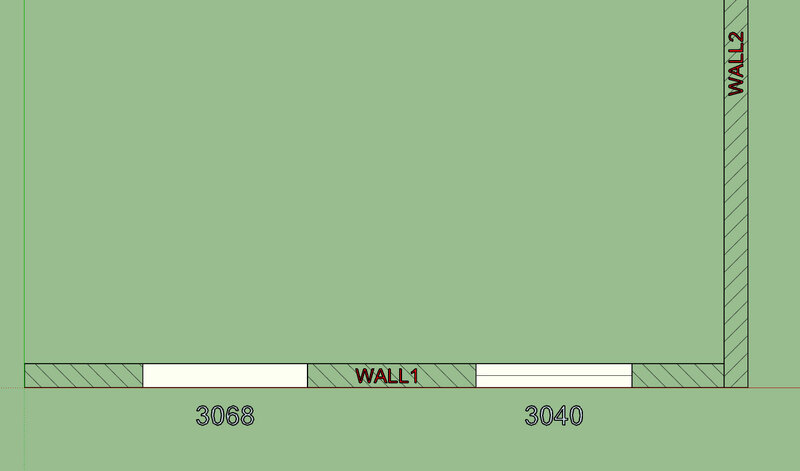 What about editing multiple wall assemblies at the same time? E.g. exterior walls originally designed with default cladding material and then later being able to change the cladding material of those assemblies all at once. SketchUp user prior to purchasing plugin. I’m trying to gather some information on the status of current users of the plugin and potential users of the plugin. My biggest question really centers around whether or not most of the interested parties are already SketchUp users or not. Thank-you for taking the time to cast your vote. P.S. The results of this poll are already showing pretty much what I suspected and what I am seeing in speaking with new users of the plugin(s). Most users or prospective users are already on board with SketchUp. I should now run a poll and try to see what was the reason for the purchase of the plugin(s). It would be nice to be able to set 2D Geometry as a hatch pattern instead of just as a color. I’ve got some ideas on this, you can’t really do it with separate lines otherwise the model will become to heavy. 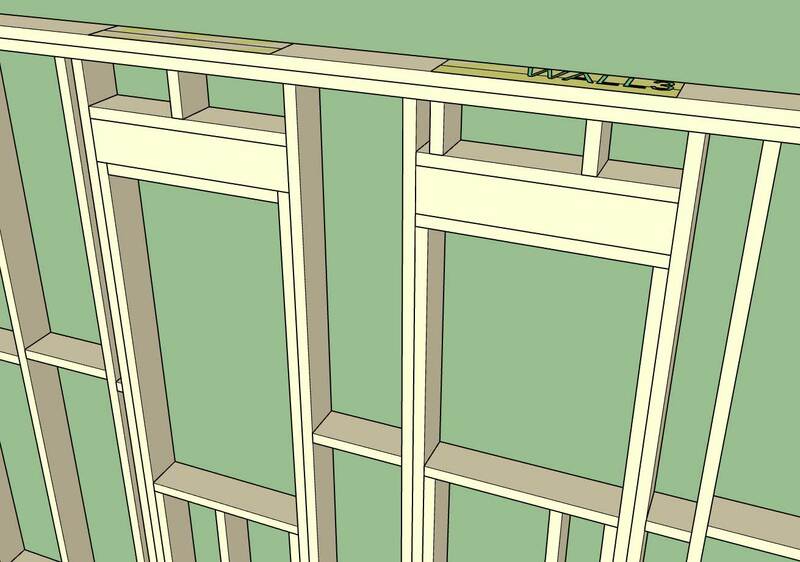 There may be an easier or better way to create a cross hatch in SketchUp, just one way of doing it. 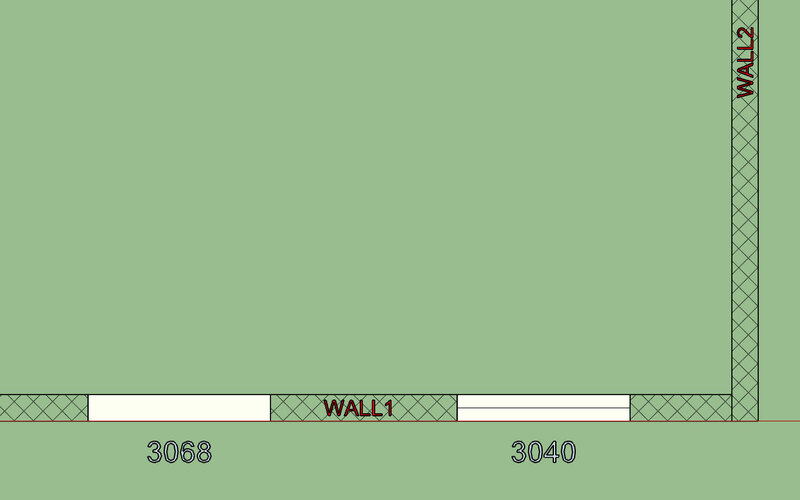 You can edit the 2D wall material in your model and the plugin will retain it since once a material is created it does not try to recreate it so any edits are retained. SketchUp has patterns under Materials. Maybe having the ability to select SketchUp Materials within global settings where there is currently only the option to pick colors. Sorry I guess I misunderstood your question a bit. Your probably right I should switch this to a pre-defined material versus having the user set the color of the material being created. I’m thinking about adding in a “Header Manager” that allows the user to basically create and manage their various headers for doors, windows and garage doors. Glulam headers will still be a special case situation which will not be managed by this interface. The only road block I’m running into with this is I have an issue with MacOS and the show modal incompatibility. I still have not determined the resolution to this problem which is affecting the Material Manager in the global settings.